In a break with its long tradition of endorsing Republicans, The Cincinnati Enquirer has endorsed Hillary Clinton for President. 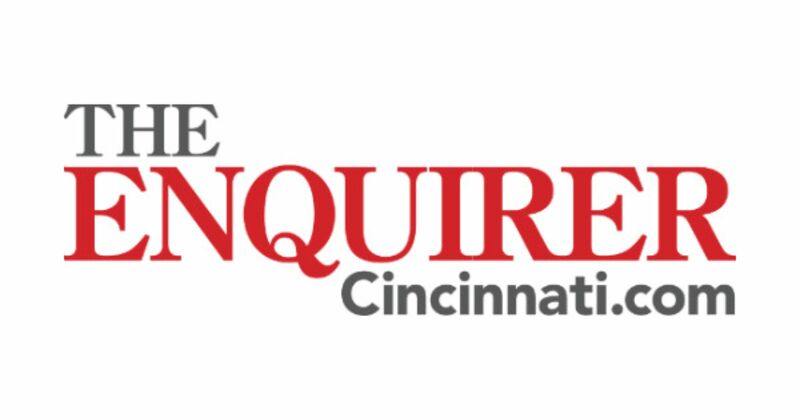 The Enquirer has supported Republicans for president for almost a century – a tradition this editorial board doesn’t take lightly. But this is not a traditional race, and these are not traditional times. Our country needs calm, thoughtful leadership to deal with the challenges we face at home and abroad. We need a leader who will bring out the best in all Americans, not the worst. That’s why there is only one choice when we elect a president in November: Hillary Clinton. Clinton’s track record of governing starkly contrasts with Trump’s total lack of experience in government, says the Enquirer. As senator of New York, she earned respect in Congress by working across the aisle and crafting bills with conservative lawmakers. She helped 9/11 first responders get the care they needed after suffering health effects from their time at Ground Zero, and helped expand health care and family leave for military families. Clinton has spent more than 40 years fighting for women’s and children’s rights. As first lady, she unsuccessfully fought for universal health care but helped to create the Children’s Health Insurance Program that provides health care to more than 8 million kids today. She has been a proponent of closing the gender wage gap and has stood up for LGBT rights domestically and internationally, including advocating for marriage equality. Trump has no foreign policy experience, and the fact that he doesn’t recognize it – instead insisting that, “I know more about ISIS than the generals do” – is even more troubling. His wild threats to blow Iranian ships out of the water if they make rude gestures at U.S. ships is just the type of reckless, cowboy diplomacy Americans should fear from a Trump presidency. Clinton has been criticized for being overly cautious when it comes to sending our troops into battle, but there is a measured way to react to the world’s problems. Do we really want someone in charge of our military and nuclear codes who has an impulse control problem? The fact that so many top military and national security officials are not supporting Trump speaks volumes. This editorial board has been consistent in its criticism of his policies and temperament beginning with the Republican primary. We’ve condemned his childish insults; offensive remarks to women, Hispanics and African-Americans; and the way he has played on many Americans’ fears and prejudices to further himself politically. Trump brands himself as an outsider untainted by special interests, but we see a man utterly corrupted by self-interest. His narcissistic bid for the presidency is more about making himself great than America. Trump tears our country and many of its people down with his words so that he can build himself up. What else are we left to believe about a man who tells the American public that he alone can fix what ails us? While Clinton has been relentlessly challenged about her honesty, Trump was the primary propagator of arguably the biggest lie of the past eight years: that Obama wasn’t born in the United States. Trump has played fast and loose with the support of white supremacist groups. He has praised some of our country’s most dangerous enemies – see Vladimir Putin, Kim Jong Un and Saddam Hussein – while insulting a sitting president, our military generals, a Gold Star family and prisoners of war like Sen. John McCain. Of late, Trump has toned down his divisive rhetoric, sticking to carefully constructed scripts and teleprompters. But going two weeks without saying something misogynistic, racist or xenophobic is hardly a qualification for the most important job in the world. Why should anyone believe that a Trump presidency would look markedly different from his offensive, erratic, stance-shifting presidential campaign? In these uncertain times, America needs a brave leader, not bravado. Real solutions, not paper-thin promises. A clear eye toward the future, not a cynical appeal to the good old days. Hillary Clinton has her faults, certainly, but she has spent a lifetime working to improve the lives of Americans both inside and outside of Washington. It’s time to elect the first female U.S. president – not because she’s a woman, but because she’s hands-down the most qualified choice. Is capitalism really the best economic system?